Guns! Bullets! References to old science fiction novels! Sure, the Nintendo Switch may end up representing a significant step in Nintendo's return to form. And sure, it may have one of the better titles to launch alongside a brand new console. But can the Switch really call itself a true console? I submit that it cannot - at least, not until it serves the purpose of "platform on which you can do bullet things with the guns and such". That's where Enter the Gungeon comes in. 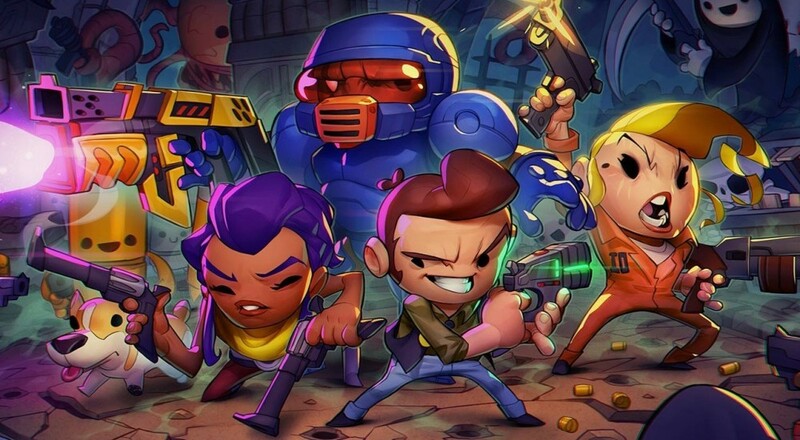 If you're interested in Enter the Gungeon and its two player local co-op mode, why don't you mosey on over to the review we posted back when the game first came out? The Nintendo Switch is out on the 3rd of this month, but don't worry, it sounds like you've got plenty of time to decide whether the aforementioned bullet-on-bullet action is right for you. Page created in 0.4614 seconds.